We invite you to join us for a three day/two night, Marriage Renewal Weekend which includes twelve facilitated sessions, coaching and counseling support, project books and materials for two (meals and lodging not included). Program begins at 7:00 PM Friday and ends Sunday at 4:00 PM. Cornerstone’s nationally renown New Beginning, Marriage Intensive offers a proven, more effective alternative to traditional, "one-hour-a-week" marriage counseling. Traditional "hour-a-week" counseling takes longer; "one-hour-a-week" over an extended period of weeks, usually 5-7 months to achieve the desired results. Whereas Cornerstone's Marriage Intensive involves a 21-hour weekend, achieves desired results, and yet within a much shorter time-frame. Every year hundreds of couples travel from all across the nation to attend one of Cornerstone’s Christian Marriage Counseling Intensives offered monthly at various locations across the United States. Over the course of a three-phase, closely guided intensive weekend, our team of marriage counselors, coaches and facilitators walk you and your spouse on a practical “step-by-step” journey utilizing therapeutic, timeless principles, applications and exercises which reveal the hidden barriers that have been harmful to your spouse and your marriage, and have kept your marriage from thriving. Our program starts before you arrive for the weekend intensive. When you register for the retreat, we ask you and your spouse to each complete a couple’s “Confidential Marital Relationship Assessment” which gives us each spouse’s perspective of their presenting issues. This helps our team of counselors better understand what the focus of the weekend will be in working with you. Then, starting with our first session on Friday evening we begin the retreat by laying the foundation needed to embark upon a weekend journey which is an intensive one, yet which promises to be a very rewarding one. On day two we begin walking you carefully, step by step through each aspect of a healing process crucial in helping you as a couple achieve a deep level of healing in your hearts and souls, from the least to the most painful of past events in your marriage. Accomplishing this crucial step enables you to then be able to work together with less tension and a greater sense peace and unity. We then guide you through the process of re-establishing your emotional connection as a couple, addressing unresolved issues, using practical tools to rebuild communication, empathy, closeness, and friendship. 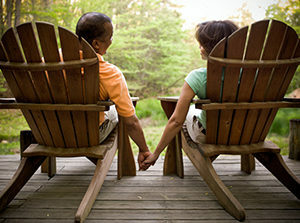 By the end of the retreat, most couples have experienced major healing in their relationships and have started to become much more secure and connected in their relationships. Lastly, in phase three, we assist you in developing a personalized plan for making attitude and behavioral life changes, and equipping you with tools to take those crucial next steps that will lead to a healthier, happier marriage going forward. Our after-care program is strategically designed to support the major changes, experiences and skills developed from the the weekend. You and your spouse will be challenged and empowered to take an honest look at yourselves and your marital relationship, put the past behind, deal with the relevant issues and rediscover the feeling of love you once had in your marriage. Even if your marriage has become conflicted, cold, or distant; regardless of what negative feelings you may have toward each other now, experiencing this weekend will dramatically change your relationship, put you and your spouse on a path to recovery and life-long love. Based on current leading research, timeless biblical principles, and our experience with hundreds of crisis marriages, this solution-oriented, marriage intensive weekend will give you insights, tools and understanding, help you deal with your marital issues head-on. You’ll experience powerful insights that most often result in internal change of hearts and perspectives, that can turn your marriage around, and put the two of you on the path to life-long love. You’ll gain and use practical tools and relationship skills that help you improve communication, understand each other’s needs, and practical ways to meet them, minimize frustration and actually experience greater fulfillment in your relationship. Couples recovering from a trauma, crisis or other major hurt such as an affair, unemployment, death in the family, separated, or trying to decide whether to stay together. The program is not conducted in a therapy group format. In fact, nobody is asked nor expected to share their problems with anyone except their spouse and of course a counselor. The format consists of closely guided exercises, experential learning activities, scriptural teaching, relationship skills training, and application projects done both privately, and as a couple. Our Cancellation and Refund Policy: Your registration fee is refundable, minus a $50 per person processing fee provided it is cancelled in writing at least 30 days prior to the Marriage Renewal Weekend you are registered for. Registrations made or cancelled less than 30 days prior to the event are not refundable for any reason. However, your registration will be transferred to another Marriage Renewal Retreat (costs for lodging and meals not included), within one year of the date of the retreat you were originally registered for. Please understand that while our mission at Cornerstone Marriage & Family Ministries is a Christian one, we are obligated to operate in accordance with business practices just as businesses are. In order to serve our clients, we make advance commitments to secure adequate meeting and lodging space, support personnel, counselors, program materials and resources. Therefore, we simply cannot make exceptions to our cancellation policy, but must adhere to this policy without exception, including emergencies. Please understand that this is not intended to be in any way uncaring or harsh, but it is a business reality that the ministry is obligated to, and one we ask you to accept when registering for an event. Thank you for understanding and agreeing to these terms.